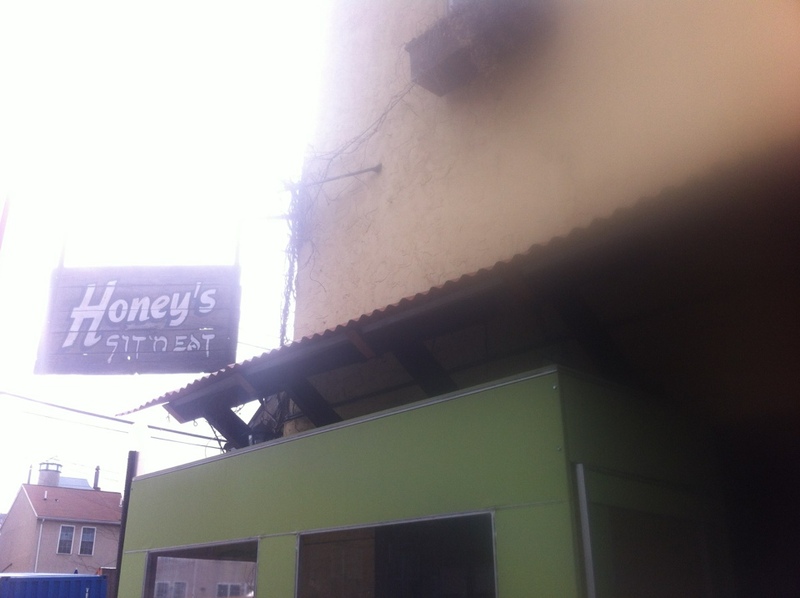 I know a lot of Yelpers rave about this place, but my experience was only so-so. Because of its glowing reviews, we were fine with waiting half an hour. 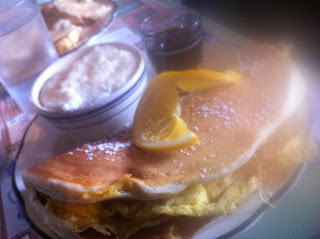 I had the Breakfast Bomb - a huge dish with a giant buttermilk pancake folded in half, between which were eggs with homemade turkey sausage. You get to choose your own breakfast meat, as well as a side. I had the grits. I thought both were good, but not a "wow, this is soooo goood" kinda good. 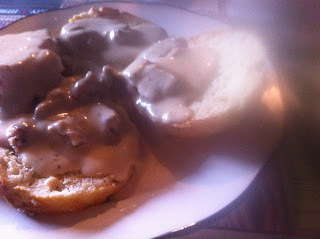 I also had some of the gravy and biscuit - on my first bite, I thought this was delicious. There was a strong pepper flavor to it - and I am a big fan of pepper so this was great. But then I ate an entire biscuit, and thought the gravy was too overpowering to eat as an entire dish. Despite the so-so experience, I look forward to re-visiting, because I must be missing something if everyone is jumping and down for a seat at this joint. I was also too full to try the deep fried banana split, so I'll have to check that off my list next time!